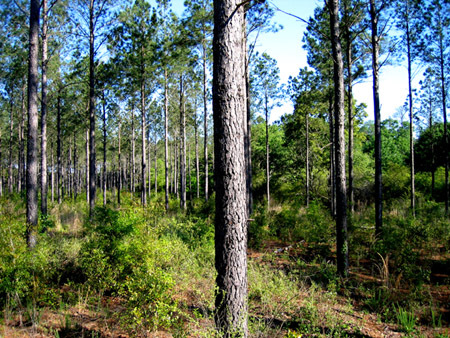 Gatewood Farms: hunting land, farms, country estates and plantations in South Georgia. 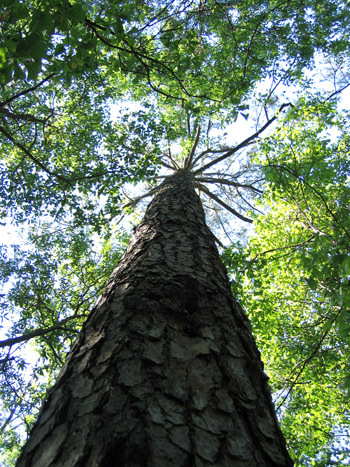 Gatewood Farm is an income producing and recreational property located in the heart of Southwest Georgia, an area well known for its high quality agriculture and excellent hunting. 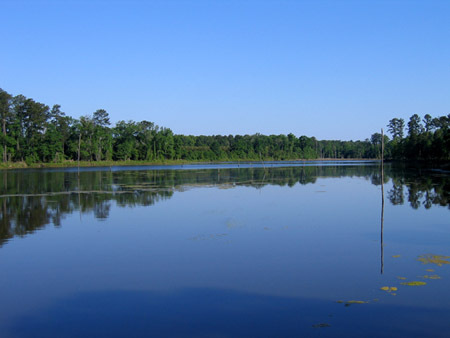 This beautiful farm is characterized by gently rolling crop fields, pristine woodlands, a large lake and substantial frontage on the scenic Muckalee Creek. The property has been in the same family for over 100 years and is now offered for sale for $3,564,000 or $3300/acre. 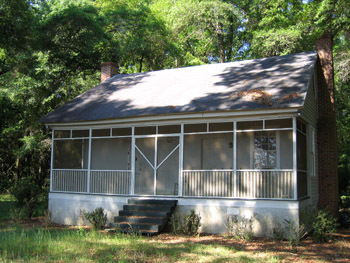 The property is located on the Muckalee Creek 8 miles south of the town of Americus, Georgia. Americus is a lovely rural town with an abundance of antebellum and Victorian homes. With a population of approximately 17,000 the town has excellent markets for farm products and supplies. The property is 150 miles south of Atlanta and 30 miles north of Albany. The original farm, approximately 600 acres, has been used as a working farm and sporting property since the late 1800’s when it was owned by Congressman Charles F. Crisp, Speaker of the United States House of Representatives. 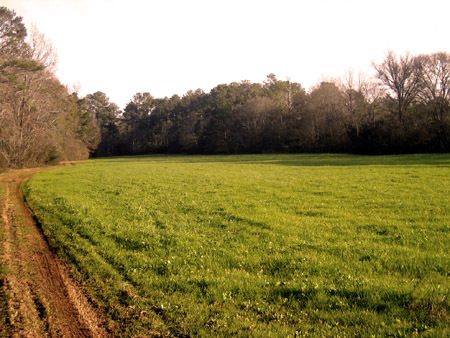 A descendent, James Gatewood, purchased an additional 400 adjoining acres in the late 1980’s. There are four living quarter structures on the property. A hunting cabin is one of the oldest structures in Sumter County and made of heart pine over 150 years old. The cabin was moved to the property in the 1980’s from the nearby Concord Community. The cabin has a large double room on the first floor with two fire places, along with a kitchen, dressing room, and full bathroom. There are two upstairs bedrooms. All plumbing and electrical supply was completely redone in the 1980’s and the exterior was repainted in 2007. The other three structures are rental houses and are currently being rented. 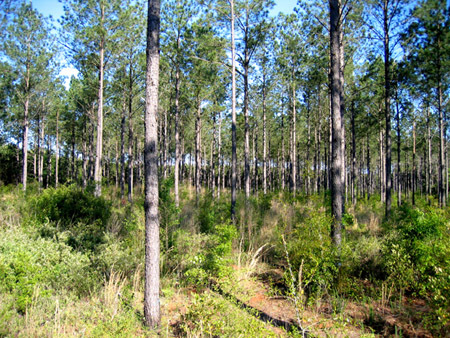 The farm has excellent soils for agriculture and timber production. 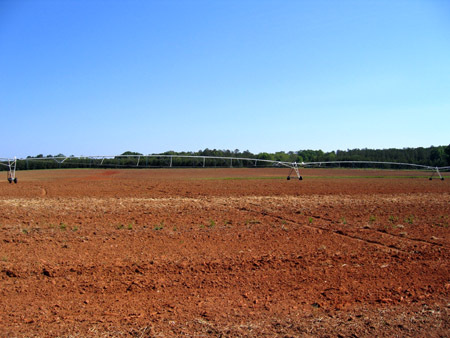 (A soils map is available from Plantation Services) Water is provided to the irrigation systems from the Muckalee Creek, a permanent stream forming the western boundary of the property. The property has a written permit to pump from the creek for irrigation purposes and this permit is transferable to a new owner. The property is zoned agricultural. Crisp Gatewood is a licensed real estate agent. GA. Real Estate License #263433 and a part owner of this property. The property is shown by appointment only.